Ashley Middleton (b. 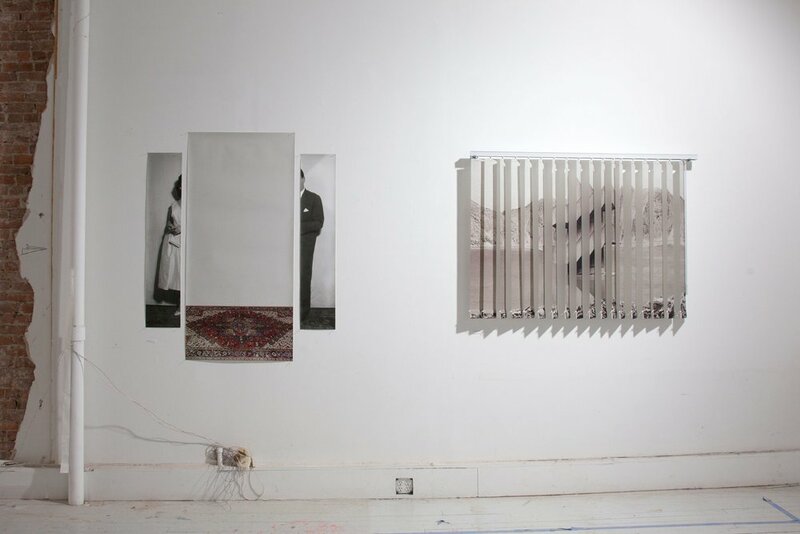 1985) is an artist, curator, and editor based in New York. She received her MFA in Photography from Parsons School of Design and her MA in Photography and Urban Cultures from Goldsmiths, University of London. Middleton has showcased her work at Photoville in New York, Pingyao International Photography Festival in China, and Auckland Festival of Photography in New Zealand. Her most recent curatorial project, Cartographies of Inclusion, was part of the Urban Photo Fest in London. She lives and works in New York City. I grew up in New Jersey, closer to Philly than New York. I’m the youngest in my family, with two older brothers and parents who owned an american diner in the center of town. My brothers have since taken over the family business, and have successfully kept it the social center of the community. Although I’ve never desired to be a part of their business, I’ve found that it has heavily influenced my practice. As an artist I have worked to facilitate deeper, more connected, interpersonal relations. I focus on how micro-interactions (shaped by culture, experience, and social practices) develop macro-routines that become embodied knowledge carried through our daily lives. My work develops methods for understanding the infrastructure of self-identification and its relationship to shaping how we relate to others. As a curator I’m consistently evaluating my place, my privilege, and my ethics, to create a collaborative structure that critically engages with institutionalized discriminative frameworks. There are several threads of experience that tie into my current practice. I was first a dancer, then a photographer studying sociology, then a photo-editor for an online news website, and now a visual artist and curator that amalgamates all experiences into new critical works. At the center of these practices I’m obsessively thinking about how digital systems relate to, and affect, social behaviors and feed the development of a culture. What was your inspiration for THERE IS NO THREAT? I’ve been working in the news since I graduated from Parsons in 2015. It has been an enlightening experience to see how images frame the message words are trying to purvey. In my position I am able to make micro adjustments to certain articles, hoping they have macro effects on how people fundamentally understand social and cultural structures from which we identify, and empathize for, others. I can choose an idiotic face of a politician I do not like for a story that is supposed to dignify him, I can choose stock images of non-white, non-heterosexual couples for a story about love and relations, I can dig deep into the social media of a sexual predator to find stereotypical images of white-privilege that potentially help people see the deeper issue at hand. But even with my individual ethics (and the ethics of each photo editor at the desk of the news), we are fighting a beast. And the beast is not the news corporation. The beast is us. The news is built on a capitalistic structure that we endlessly feed. We are in a loop of the same articles over and over, from women being brutalized, raped, murdered, told how to beautify themselves, or exposed for sleeping with underage students, to animals being abandoned, tortured, rescued, or looking cute, to a fuckfest of politicians and corporations who have very little moral character (if any) as they cheat, lie, and govern the masses. And these are only a few examples of social patterns I see daily. These articles are very real. The methods for how the information is obtained and executed may not be the most ethical, but the bulk of the message is very real and not at all fake. Readers perpetuate these types of stories with each click. The more you click the more likely that story will come back again with different characters and slight adjustments. We consume, capitalism wins, mental health deteriorates. In it’s representation, the news is not fake. It is a mirror of who we are. Without our clicks the articles wouldn’t continue to thrive and gain support from advertisers. We are stuck in a loop and the threat is normalcy. The flow of information has significantly changed since I first arrived in 2015. Trump is a big reason for this. He caused a significant growth in digital subscriptions in 2016 for media outlets such as The New York Times, The Boston Globe, The Washington Post, the Financial Times, and the New Yorker. We have entered a new loop of mistrust that has only grown stronger. This newly developed capitalist structure has had two years to be embodied. We are not only able to see its effects in our social experiences, but have also become increasingly aware of our shared consciousness in it. This shift in behavioral patterns, both within ourselves and within our culture, is not necessarily new, yet somehow, our awareness in it seems different. The words that popped up in Hawaii in January of this year, THERE IS NO THREAT, perfectly centered on a collective feeling that had little to do with the actual context of the message. The message was meant to inform its citizens that a false missile alert was issued and that no one should worry as it was only a mistake. The beautiful, and calming, palm trees behind this digital machine that linked to a potential threat spoke to me. It was the perfect metaphor for an exhibition about people, ideas, habits, behaviors, that are either under threat or cause threat. Masked in a falsehood, THERE IS NO THREAT offered a space to critically think about information and deception. How did you consider the artists you chose? There were several rounds of selecting artists that I had to go through in a very short period of time. It was a battle between what I knew, what I wanted to know, and how much time I had to know more. The first round began with me and my limitations - knowledge of artists, resources financial, spatial etc.. After I realized I didn’t want to create an exhibition filled with mostly white male artists (which is what I found myself naturally doing), I opened up and created a team. Together we generated a space where I could humbly express my lack and the desire to rectify it. Since we had a very short period of time to find and select artists, the exhibition became an amalgamation of friends, friends of friends, and friends of friends of friends. I wanted to generate the feeling of a local New York City event with artists from different parts of the world, different backgrounds, mediums, visions, etc. The ultimate goal was to create new networks through a shared experience and interest in learning through others. I’ve been sitting on an exhibition idea for the past year that I’m currently really excited about. It feels special so I’ve been trying to give it considerable time and care to develop on its own. I’ve been talking with artists and curators in New York, London, and Rotterdam to develop a show that exposes, and critically evaluates, culturally inhibitive systems in the art world. I’ll be working with a team of female curators to counter hegemonic narratives that have deep roots in today’s art world. The exhibition will propose a new art system for which to be more inclusive, mindful, empathetic, ethical, and confrontational. Thus giving more space for historically silenced voices to thrive. I can’t say much more at this point, as we are still in the development phase, but given the current climate of western culture, I feel a deep exploration of discriminative -isms (colonialism, racism, sexism, etc. 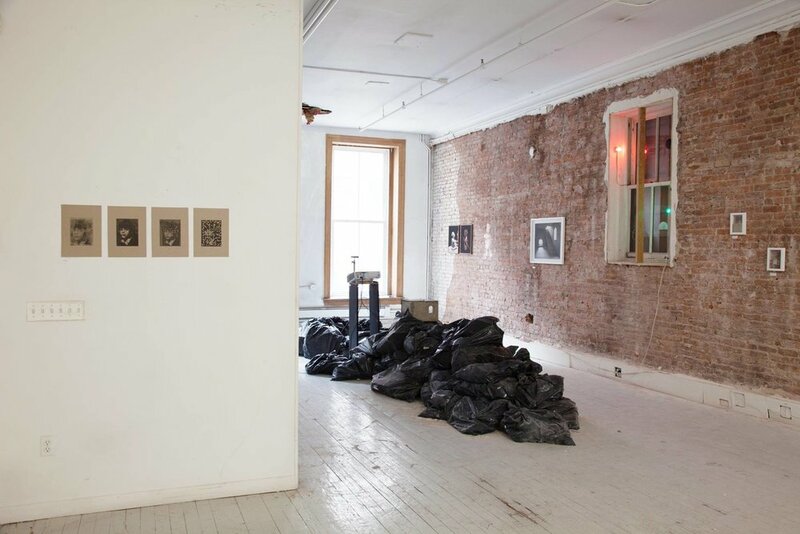 ), through new curatorial methodologies, is a necessary endeavor. New York, 24 March 2018 - THERE IS NO THREAT, a pop-up exhibition curated by Ashley Middleton, in collaboration with Float Photo Magazine and Triumph & Disaster, will be at 145 Chambers Street, #2, New York from 6-10pm on 24 March. 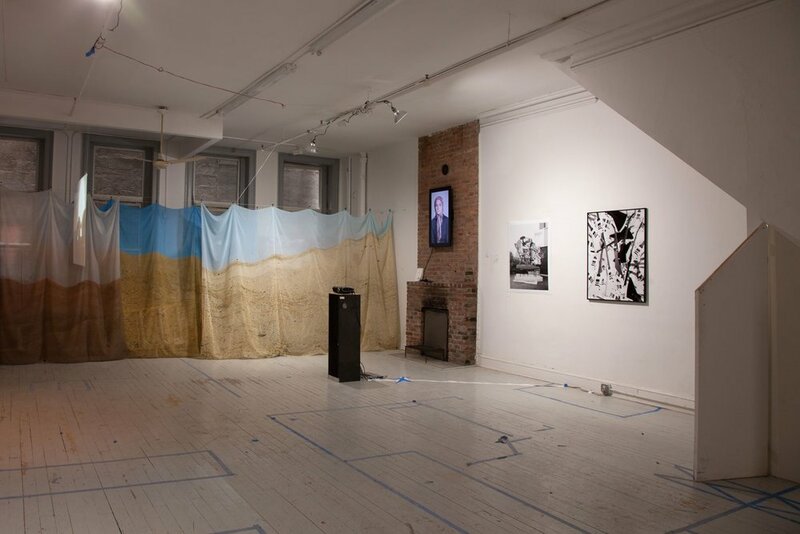 The group exhibition includes the work of nineteen artists, connected in an effort to better understand the space between representation and misrepresentation, and ways we move between the two. 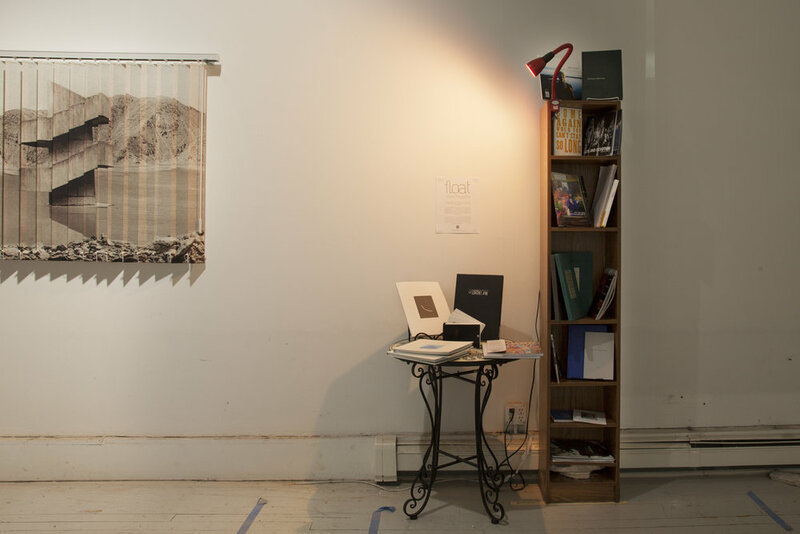 Through photography, video, design, and installation, artists working within the US and EU come together to address the threshold of language - spoken, written, visual, gestural, architectural, etc. - and the threat of a frame. By attempting to define the unknown, and unknowable, we can become blind to the value of the undefinable, less comprehensible, forgotten, misplaced, different, “fake.” Language simultaneously builds and shatters. The exhibition occupies a space in flux - an apartment in renovation, changing from one notion of home to another - and we find ourselves in between two moments of the same word. Same. Different. Compressed. In this space we have the potential to see the frame, shatter it, and build something new, grounded in care for the unknown and empathy for the unknowable. 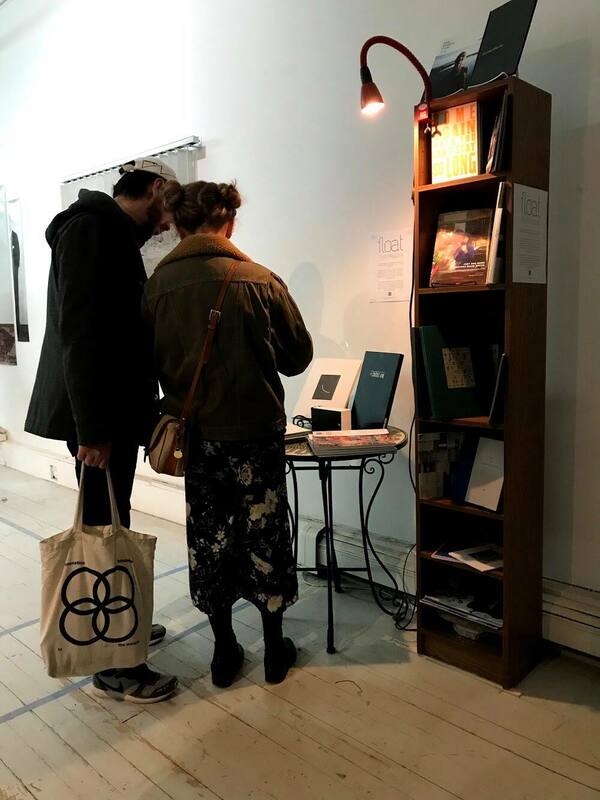 Books and zines will be presented alongside the works of Eleonora Agostini, Widline Cadet, Joseph Desler Costa, Magali Duzant, Nicholas Fraser, Yoav Friedländer, Michelle Gevint, Yvette King, Brandon Kruysman, Thomas Kuijpers, Sara Z. Meghdari, Lana Mesić, Ashley Middleton, Rehan Miskci, Ayodamola Okunseinde, Masahito Ono, Daan Paans, Brian Palmer, and Dana`Stirling.